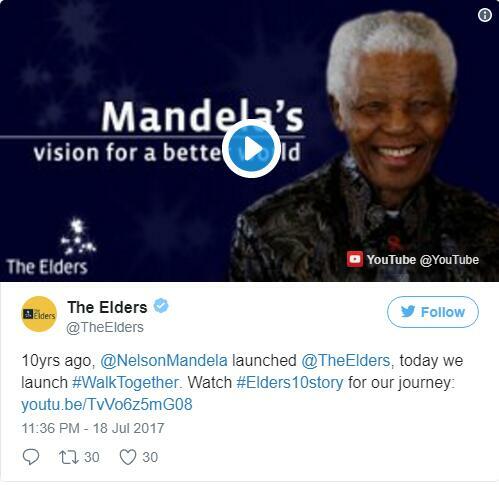 The Elders, a group of global leaders working for peace and human rights founded by Nelson Mandela on July 18, 2007, has launched a global anti-hate campaign to mark the group’s 10th anniversary. 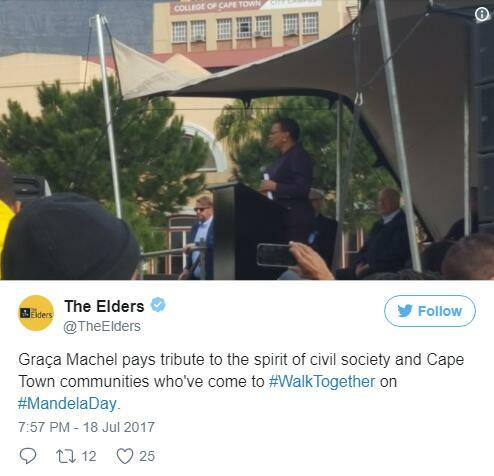 The group launched the Walk Together campaign on Tuesday, July 18, which is the birthday of the South African freedom fighter and commemorated globally as Nelson Mandela International Day. The campaign is to “help bridge the deepening global fault lines of division, hate and xenophobia that is leading to inward-facing populism,” the group said in a statement. 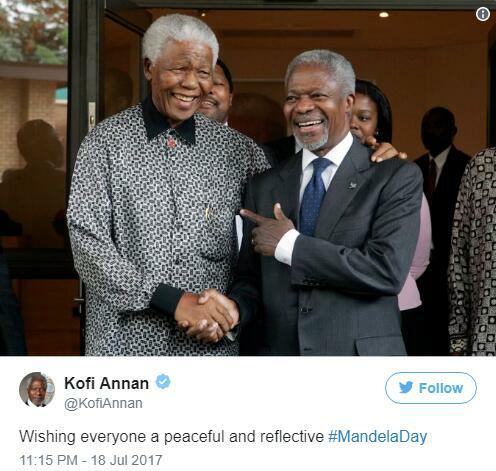 The Elders resolved to use the year ahead to focus on the freedoms that Nelson Mandela devoted his life to achieving, and inspire hope and engage people in ideas that inspire solidarity, compassion and tolerance. “Our tenth birthday is not only an opportunity to reflect on our story so far, but a moment to rededicate ourselves to the challenges that lie ahead,” the group said. 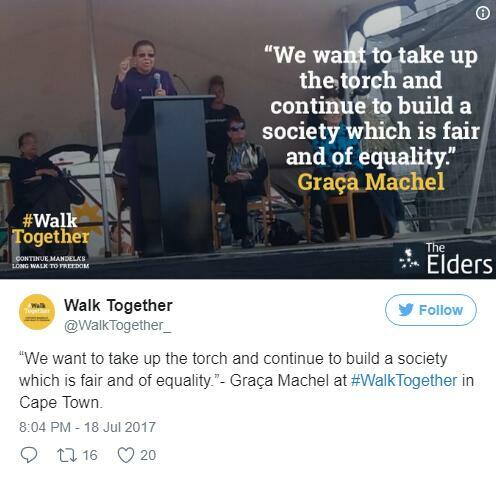 They also led hundreds of people in Cape Town to embark on a walk marking Mandela Day and the launch of the Walk Together campaign. Chaired by former United Nations Secretary-General Kofi Annan, The Elders have spoken against injustice and human suffering while making positive impact. Among the world situations that the Elders have added their voice to includes the crisis in Darfur, Zimbabwe’s humanitarian crisis, the middle east, climate change among others. Nelson Mandela launched The Elders in Johannesburg on his 89th birthday. 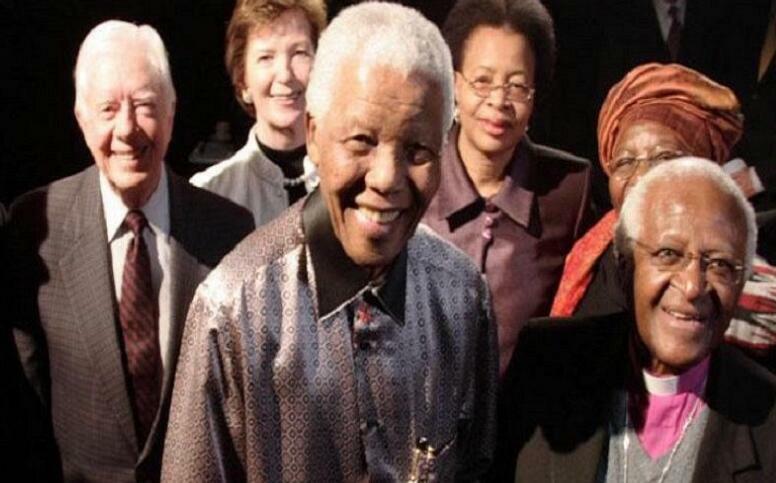 Alongside him were co-founder Graca Machel, Nobel Laureates Archbishop Desmond Tutu, former UN Secretary-General Kofi Annan, former US President Jimmy Carter, and former UN High Commissioner for Human Rights and President of Ireland Mary Robinson. Currently, The Elders are made up of 14 members including former UN Secretary-General Ban Ki-moon who joined this year.